Escape your everyday stress and experience a tree lighting show and fireworks in the Waterfront District. Take in panoramic views of the DC skyline atop the capital wheel. Finishing the night off with your favorite glass of wine at The Tasting Room Wine Bar. Stop daydreaming of a laid-back weekend and start making arrangements. See a few of our ideas for your getaway and make the most of our waterfront resorts, restaurants, shops, and more. 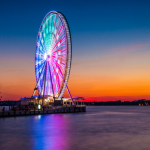 Explore all the fun and sights that National Harbor and the DC area have to offer. Check out just a few of the things you can do with your day and start planning. 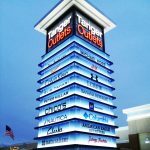 Shop beyond the boutiques on our waterfront and head over to the 80+ stores at Tanger Outlets. Along with live music events and 60-foot fountain shows in the atrium, the Gaylord National Resort is home to a world-class spa with a complete menu to help you take a break. 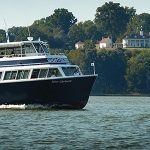 Take in the views as you cruise along the Potomac River to George and Martha Washington’s home, Mount Vernon. Once you arrive, you will have 4 hours to explore the Estate. Unwinding is a way of life along our stretch of the Potomac. Take a look at just a taste of how you can relax with us. 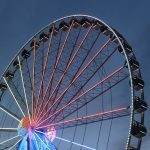 Make your trip unforgettable and treat yourself to some of the best views in town on top of the 180-foot Capital Wheel. 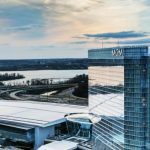 Activities are endless at National Harbor’s newest addition, from gaming and restaurants to shopping and events. Find food, fun, drinks, and a mechanical bull at this National Harbor hotspot! 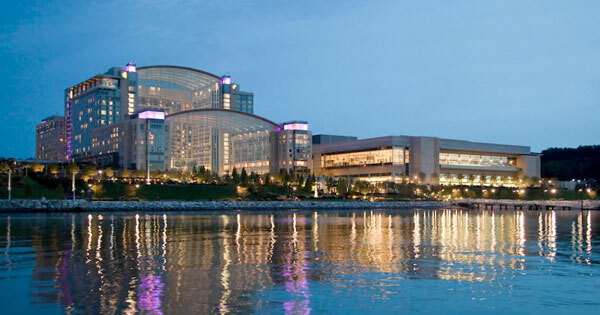 Explore all National Harbor has to offer, then take a trip down the Potomac for some of the nation’s greatest treasures. Experience one of the best sunsets in the country with a spectacular unobstructed view. 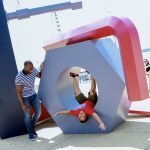 National Harbor has whole gallery’s worth of outdoor art lining the plaza and streets. Parents and kids can grow their appreciation for beautiful mosaics and impressive sculptures. 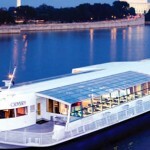 Set sail for a two- to four-hour escape on the Potomac River. National Harbor offers visitors shopping, dining, entertainment, and easy access to DC and Alexandria. 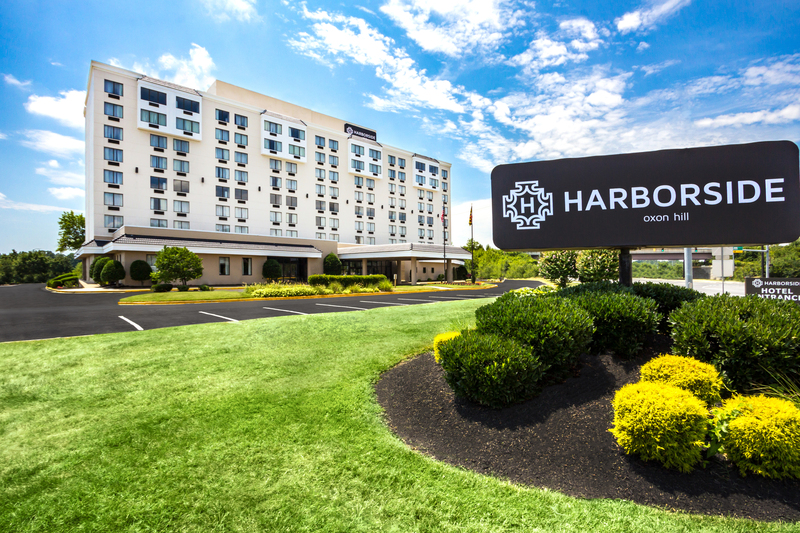 And with six hotels on our waterfront, you have your choice of rates and amenities. Take a look at a few of our recommendations or see them all. Treat yourself to a luxurious stay at Gaylord National Resort and enjoy special events, entertainment, fine dining, and its world-class spa. 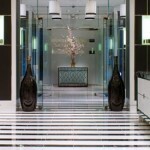 Set yourself up for a National Harbor stay in one of the AC Hotel’s stylish and contemporary rooms or suites. Harborside’s 194 spacious, boutique-style rooms and suites blend contemporary style with urban-inspired appointments. 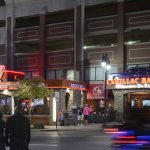 With so many shops, dining spots, special events, and attractions, there’s always something to add to your stay. Take a look at a few options to make your getaway fun and relaxing. A quick bite on the go at Chipotle or a romantic table for two at Bond 45. Whatever you’re in the mood for, you’ll find it at one of over 40 dining spots. Browse for jewelry at Alex and Ani, pick out a few delicious gifts at Savannah Candy Kitchen, or do some serious clothes shopping at the Tanger Outlets. Take advantage of our latest deals during your stay. See our latest promotional offers. Our garages are located right next to all the action, so your visit will be stress-free. Reserve a spot in advance now. Whether you a kid or a kid at heart, you can always find something fun and exciting happening on our waterfront. Here are some suggestions for a day that’ll get the whole family smiling. National Harbor is a great place to bring your special someone for one-of-a-kind experiences, romantic meals, and amazing sunsets. Check out our recommendations for your next date. Our waterfront is just minutes from DC by car. Or arrive by water taxi from Alexandria or the National Mall. Find more detailed directions. Explore everything that National Harbor has to offer with our easy-to-use directory. Follow us to see how other people harbor and to share your own experiences. You’ll also find up-to-the-minute information on events and happenings.